Emerald City Chess Club Presents the 2019 Spring Open on May 11th from 11:30 AM – 7:30 PM at Peterson Hall, Room 101 at the University of Oregon. This tournament is open to anyone, regardless of age, ability or experience! All sections are OSCF State Championship Qualifiers. Pre-register by contacting us at wabels@uoregon.edu with your name and section you would like to register for. If you are a K-12 student, please list your grade and school as well. All sections are OSCF Qualifiers. If you are a K-12 student, please list your grade and school as well. Entry fees: Preregistered: $25 for the USCF Section and $20 for the Northwest Sections if pre-registered by May 9th. Read more about the Emerald City Spring Open. The 14th annual Oregon State Scholastic Chess Championship was held April 12-13 in Seaside, OR. Over 400 players from across the state participated. Final tournament results can be found here. Primary School Grand Champion (K-2) was Anisha Sripada from Findley Elementary. Elementary School Grand Champion (3-5) was Austin Tang from Hope Chinese Charter School. With an equal score, Middle School Co-Champions (6-8) were Zoey Tang of Hope Chinese Charter School and Shunkai Peng of Conestoga Middle School. These two players then participated in a thrilling 4-game playoff with Shunkai Peng coming out victorious and earning the right to represent Oregon along with the K-8 champions of the other 49 states in the prestigious 2019 Barber Tournament of K-8 champions, Aug. 3-6 2019 in Orlando, FL. High School Grand Champion (9-12) was Michael Moore from Crescent Valley High School who along the way scored upsets against two national masters to earn the title. Michael earns the right to represent Oregon along with the high school champions of the other 49 states in the illustrious 2019 Denker Tournament of High School Champions, also held Aug. 3-6 2019 in conjunction with the US open tournament run by the US Chess Federation. The Oregon Scholastic Chess Federation’s mission is to promote, support, sponsor, and coordinate scholastic chess activities in Oregon. Our motto is “More Kids. More Chess. More fun!” Chess is a powerful vehicle for developing skills and habits that benefit young minds for life: analytic thinking, planning ahead, winning with grace and losing with dignity, setting disciplined and realistic goals, and understanding that mastery takes years of persistent work and gradual progress. OSCF was founded by chess parents in 2005 to create opportunities for Oregon kids to compete in high-quality, rated chess tournaments. Currently, we run three official OSCF events, including the OSCF Championship in April, the Oregon All-Stars Invitational, and the Oregon Open Scholastic. In addition, OSCF sanctions around 80 tournaments per year as state championship “qualifiers.” We also provide guidance, expertise, and resources for new tournament directors, coaches, and school chess clubs. OSCF has purchased a large number of memberships “in bulk,” which allows us to offer these to Oregon and Washington scholastic chess players (who will play in Oregon events) at a discount. Normally, a scholastic membership costs $17-26, depending on the age of the player. We are happy to offer individual memberships for just $15 each for any player residing in Oregon or Washington and age 20 or under at the time of redemption. Simply click here to our purchase page. Fill in the name of the person who is purchasing the membership(s). After purchasing the quantity of memberships you need, you will receive an eVoucher within 2 business days from our treasurer, Renee Chang. Once you receive the eVoucher number, you’re not done yet! Renee will include instructions for you to enter the eVoucher number on the USCF site to complete the membership registration. Please be patient in this process. We are an ALL VOLUNTEER organization! Questions? Email us at oscf@oscf.org. We currently (as of midnight April 10) have 377 players registered for the 14th Annual OSCF State Chess Championship! Who’s Coming? Click here to find the preliminary sections for all registered players. If you’re not on this list, but think you should be, please CONTACT US IMMEDIATELY by emailing oscf@oscf.org! We have posted a list of frequently-asked questions — and answers — that we recommend you consult. Let us know if you still have lingering questions that haven’t been answered. Finally, for more information about the Blitz and Bughouse tournaments on Friday evening, click on the corresponding links below — and check to see if you’re on the lists of those with prepaid tickets! Blitz check-in information and blitz prepaid tickets. Bughouse check in information and bughouse prepaid tickets. Congratulations to the 538 players who have qualified to play in the 14th annual OSCF State Championship on April 12-13 in Seaside, Oregon. See Details Here. Here’s the near final list of QUALIFIED PLAYERS! Early Registration – $35 until 11:59 p.m. Friday, April 5. Regular Registration – $45 until 5 p.m. Sunday, April 7. Having played at least 1 qualifying tournament during 9/3/18 to 4/3/19. Having an established NWSRS rating (at least 15 lifetime NWSRS rated games) or USCF rating (at least 26 USCF rated games). Have played at least 8 rated games during 9/3/18 to 4/3/19. If you have played one qualifying tournament and just need more games to establish your rating, you can still qualify if you play the additional rated games before April 3, 2019. See our instructions on how to do this and notify us at oscf@oscf.org if you plan to do this. Nearly two hundred students spent the first day of spring break in an elementary school cafeteria. The opportunity to play in Oregon’s first rated K12 team chess championship was so enticing that they put their vacations on hold for one more day. While a different statewide team tournament is held annually in the Oregon Convention Center, it is run without the benefit of an accepted chess rating system. The old tournament also has an idiosyncratic qualification process not found in any other state team championship in the United States. These factors led the Oregon Scholastic Chess Federation to organize a new event that can be held in the same esteem as team championships throughout the country. The Inaugural OSCF K12 Team Championship had three school divisions (K5, K8, and K12) and a Mixed Division for teams made up of students from different schools. Awards for the event were sponsored by Chess.com and ChessKid.com, who collectively have over 30 million members worldwide. Scholarships were given to schools that served low-income students. Catlin Gabel won the K12 Division with a perfect score. Clackamas High School and Corvallis High School took home trophies for second and third place. National Master Joshua Grabinsky, a tenth-grader from Coquille, led a strong team that won the Mixed Division. Stoller Middle School won all of its rounds to take first place in the K8 Division. Winterhaven defeated second-seed Robert Gray Middle School in Round 3 to take second place. Robert Gray finished third. The biggest surprises of the day came in the K5 Division, where Hayhurst Elementary School battled Jacob Wismer Elementary to a draw despite having an average board rating nearly 300 points lower. Both schools finished with scores of 4.5/5, resulting in them sharing first place and the title of Co-Champions. Second place then went to Hayhurst’s B team, which pulled an upset of its own against an impressive team from Lent Elementary, who took third. The next challenge facing this new state championship is finding a venue for next year. The organizers are currently soliciting proposals from schools interested in hosting the event in 2020, where attendance is expected to exceed 300 students. 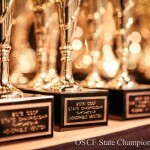 To learn more about hosting next year’s OSCF Team State Championship, write to OSCF@OSCF.ORG. Many players are CLOSE TO QUALIFYING for the 14th Annual OSCF State Championship in Seaside, Oregon, to take place on April 12–13, 2019 (as of the April 9, 2019). See the list of players and see how many games are needed to qualify. Come play in this new and FREE Warriors Tournament in Amity. 5 rounds, G/30. This is a OSCF State Championship qualifier. Please register your player(s) by March 20th. This event is open to all and is FREE. Participants do need to be familiar with the rules of chess and chess notation. Bring chess set and chess board with you. We will be using the Community Room which is located at the back of this New Seasons store. After each class, there will be a rated quad. Quad make-up will be by the TD’s discretion. Time control game in 25 minutes with a 5 second delay. Top five scores for the five quads and attending the Friday class will be awarded a chess book. Tie breaks used: Number of games played, lowest rating, and youngest age. Each NWSRS rated game will count toward qualifying for the 2019 OSCF State Championship. Registration: No on-site registration. All must register by e-mail. To register send Ed Addis an e-mail at “chessalot@aol.com”. Include your first and last name, grade in school, and school you attend. For adults I need your first and last name and which state you live in. I also need to know which dates each of you plan to attend. New Seasons at Happy Valley has a very nice area for those that have brought chess players to enjoy coffee or food and of course you can always shop. No outside food or drink can be brought into the New Seasons Market. The OSCF K-12 School Team Championship provides an opportunity for Oregon schools to compete in a rated, match format. The inaugural edition will take place on March 23, 2019, at Hayhurst Elementary School in Portland, Oregon. The purpose of the OSCF K-12 School Team Chess Championship is to encourage and celebrate not just the development of strong chess players, but strong chess programs within Oregon schools. School Teams will compete in three divisions: Grades K-5 (Elementary School Team Championship), K-8 (Middle School Team Championship), and K-12 (High School Team Championship). For more information, read the OSCF K-12 School Team Championship flier. Generously Sponsored by ChessKid and Chess.com. 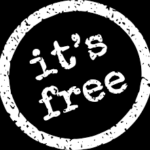 First place teams in each Division receive one-year Gold memberships from ChessKid (K-5, Mixed) or Platinum memberships from Chess.com (K-8, K-12).